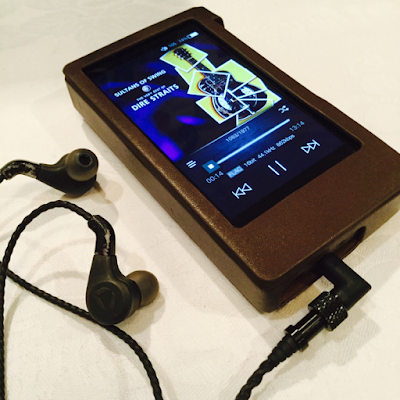 iBasso DX200 with iBasso IT03 IEMs. 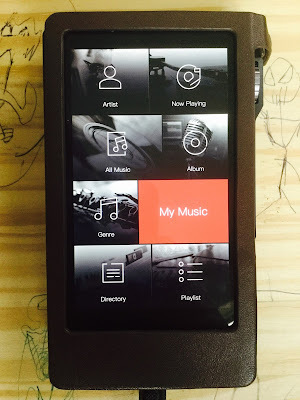 I was excited to have the chance to experience and review the latest and greatest iBasso product, the DX200. It has proven to be a worthy contender amongst the current field of TOTL daps. iBasso DX200 and Campfire Audio Vega (with the Dita Awesome Truth cable). 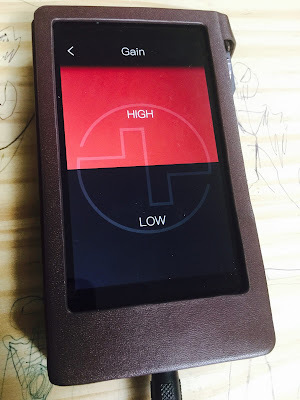 I have had the iBasso DX200 for just over month and it has been my daily traveling companion. So far I have just over 400 hours on it, via listening and burn in by using the included 2.5mm burn cable. It has been an impressive month, noticing significant changes as the hours passed. At the 50, 75, 100, 150, 250, 300, 350+ marks I noticed more and more changes to the iBasso DX200 as it tightened up overall, resolution and detail improved. The sound stage was always satisfying wide. The bass was more controlled over time, the mids were more balanced and the clarity and reach of the treble increased. I used mainly the Campfire Audio Vega and Andromeda IEMs so that I could keep track of the subtle improvements as the hours ticked by. The iBasso DX200 certainly packs enough power and is helped by a low and high gain setting. No doubt the early beginnings of iBasso and their many portable amplifiers have helped to fine tune this part of the circuitry. There definitely is not any need for a portable amplifier, that is unless one wants to color the sound by using a tube amplifier or some such. 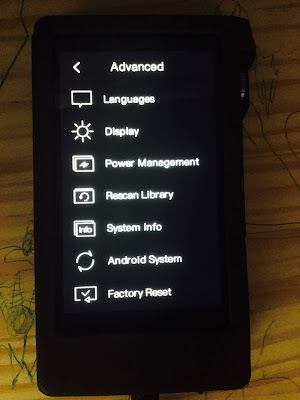 iBasso had released the DX100 at what seems many years now (2012? ), but not so long ago. It was one of the first batch of hi-res daps to come out at the time. And I remember trying Currawongs of Head-fi at the time at one of the Fujiya Avic shows in Tokyo. The DX200 significantly improves on the DX100. The iBasso had a few teething problems as in minor bugs with a few of its early units. This was addressed with a new Firmware on March 1st, 2017. 1. Touch panel sensitivity adjusted. 2. Rectified the bug that the DX200 can't be woken up from a sleep mode occasionally. 3. Added adjustable line out on Mango OS. 4. Rectified the bug that the next and rewind buttons are swapped on some third party player Apps. **UPDATE: iBasso has released another two firmware updates and are continuing to work on more fixes. The most recent being V2.0.78Beta from March 7th which I am running with no problems. Also I am following the Head-fi thread, and also reading Facebook posts and see that iBasso is promptly rectifying any units with issues and providing excellent customer service. Well done iBasso! Later came the DX50, DX90 and DX80 Daps. No one really knew what to expect next, certainly not the high end DX200, and definitely not at the excellent comparatively low price. iBasso continues their tradition of `great sound, at a fair price` . iBasso DX200 and Dita Dream and Dita the Truth Awesome cable at the Fujiya Avic show. The iBasso DX200 comes in an exquisite, functional and unique packaging. The DX200 box is two halves lined with protective solid foam, within is a bed of foam where the DX200 itself safely rests on. Gorgeous packing is a guilty pleasure of many a consumer. The DX200 comes with a screen cover already perfectly laid, with the screen cover protective layer still laid atop for a clean delivery of a spotless screen. The two halves gracefully slide apart to reveal the treasure within. Simple, beautiful and elegant designing are the first thoughts one has when seeing the iBasso DX200 unveiled for the first time. Although it looks heavy, it is actually quite lightweight in ones hand as AnakChan recently commented when he tried my DX200. The fully metal case when combined with the included smexy leather case makes for an attractive and robust Dap, perfect for those daily commutes or lounging at a cafe. Line out, 3.5mm jack (single ended), 2.5mm jack (balanced). Type C USB for charging and data transfer, on/off etc button. Slot for a micro SD card, on the right we see the detachable section, other modules and configurations will be available in the future. The detachable module on the left, three physical buttons for back, play/pause/stop, forward and a volume wheel with 150 steps. The iBasso packs a decent dual set of the latest ES9028PRO chips. Under the foam bedding we find more compartments. A gorgeous leather case, warranty and instruction book. A further PDF manual is available for download from the iBasso website. A graphic break down of the outer components. The iBasso DX200 will also have changeable Amp cards in the future with differing functions. 5. The DAC chip is the ES9028pro (dual). `The DX200 has been designed from the ground up. Interchangeable amps, a CNC case and the finest components.` - iBasso. 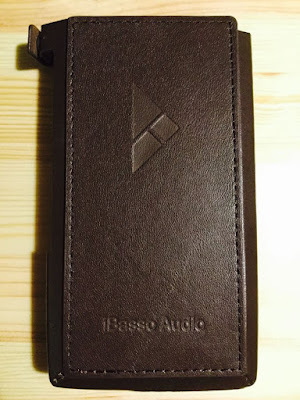 Well, in this age of $4000 `TOTL` daps, where does the iBasso DX200 fit in? Coming in under $1000 was a bit of a surprise in this bloated market. Should iBasso have attempted to milk the cow just for sake of a chance at more dollars?, or continued their general philosophy of a `great product at a fair price`, they appear to have gone for the latter, much to everyones general pleasure. Reading the iBasso DX200 thread on Head-fi and hearing from people who own one or more of the more recently released TOTL Daps, it seems that the iBasso DX200 holds its own very well against them. 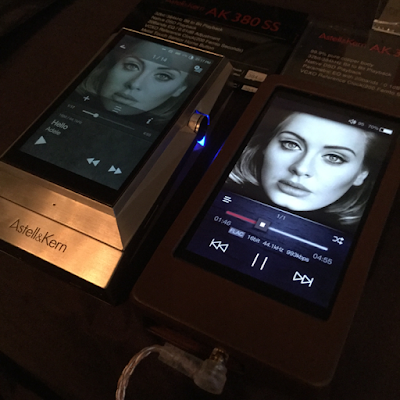 I myself recently did some A/B`ing against other TOTL heavyweight daps such as the Sony WM1Z, AK380CU (with amp) and AK380SS (with amp) and also came to the same conclusions. The overall differences seem minuscule and incremental rather than significant. The differences playing out more in terms of signature than in terms of performance as such. I found the DX200 similar to the AK380CU +Amp in terms of sound signature and I also used a SPL. 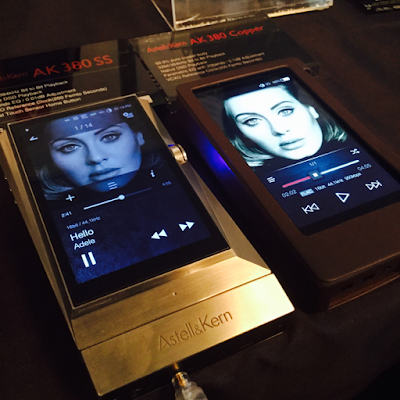 AK380SS(with amp), AK380CU(with amp) and iBasso DX200 at the Fujiya Avic show. I myself find the DX200 to be an extremely well build player, beautiful to hold and look at, the UI functional and easy to navigate. 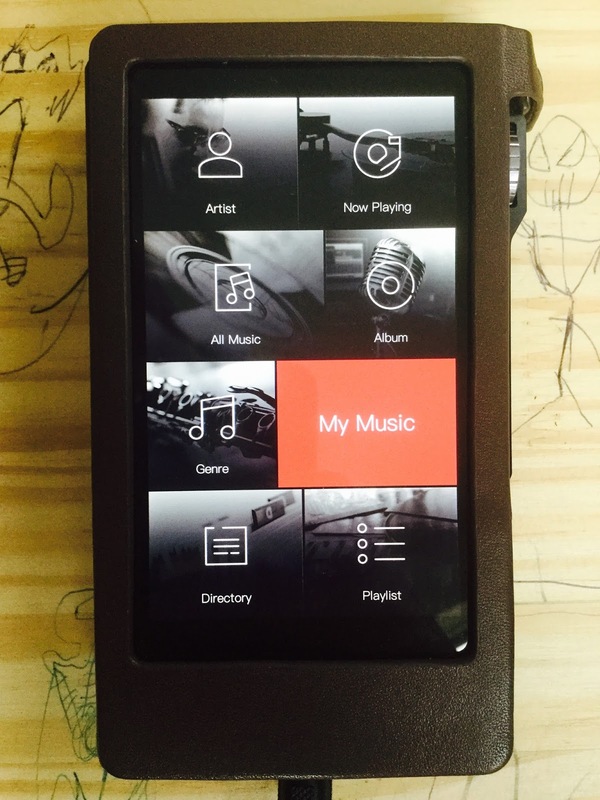 Some users had some trouble with the first batch concerning the UI but iBasso has addressed those persons concerned. Currently as of this writing iBasso is working on the next update which will take care of many of these initial hiccups one expects. 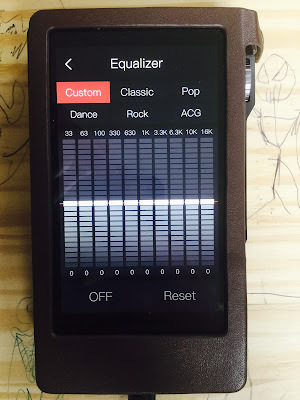 The sound generally is neutral, so one can attach their high priced in ears or headphones and hear them play back music as intended, and EQ is included for those who wish to dabble with the sound signature and several filters are also available. It truly is an outstanding dap. Full bodied, great resolution and details, decently wide soundstage, fairly neutral and clear. It ticks all the boxes for me. A marvel at the price. iBasso DX200 and Campfire Audio Andromeda IEMs with ALO Balanced Reference 8 cable. iBasso DX200 with Campfire Audio Vega. I made sure I had at least the recommended amount of 200 hours before really getting into the review process. During that time I was of course also listening to, nearly on a daily basis as it is such a pleasurable device to use and listen to. 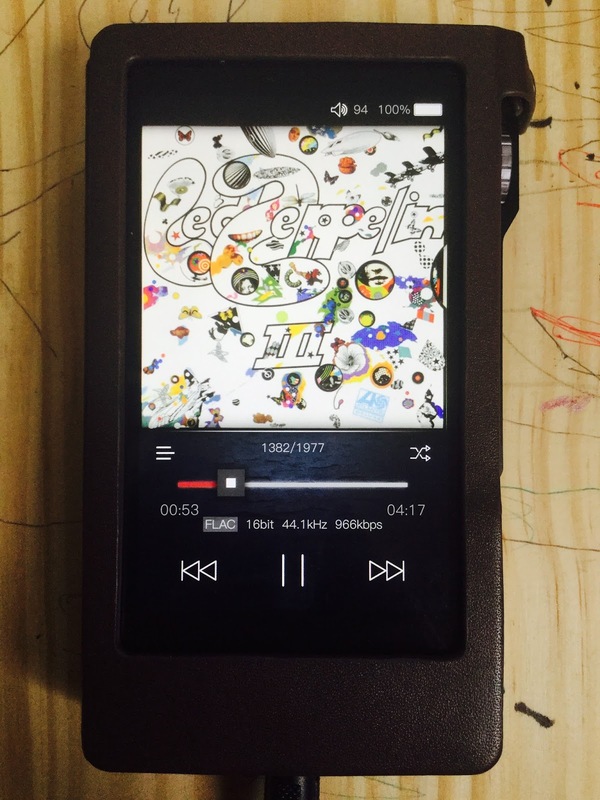 Eventually I got to 300 hours plus and thats when the iBasso DX200 definitely came into it own as reference style dap. It is neutral in the sense that music is played back authentically to its original source material and intention of reproduction. Neutral in the sense that ones earphones retain the sound signature that they have been purchased for. A low output impedance of under .3 of an ohm in single ended and balanced mode, and the low/high gain setting means that the iBasso is a good fit for most IEMs, even the most sensitive. There have been reports of some minimal amounts of hissing on some extra sensitive IEMs but this seems relegated to the usual suspects/IEMs that turn up in every review. Mostly I used Campfire Audio IEM models the Vega and the Andromeda. Being both TOTL IEMs from the same manufacturer and also one being a dynamic driver and the other being a 5 driver BA IEM with a reputation for being sensitive, I thought consistency would help to me to uncover the subtleties of the iBasso DX200. Of course as you can see in the many photos I also tried it with many other IEMs and also some headphones such as the ATH-ESW9, ATHESW11 and the ATH-A900. I used FLAC 16/44 mostly, along with a few sample tracks of 24/96. Mostly I shuffled the music so each track was unexpected to ensure my listening wasn`t influenced wholly by just playing my favorite tracks. I tested it at my home, semi quiet cafes and on my daily train commutes. I did some comparisons with lower priced daps and dac/amps also. Note: I haven`t listed the many tracks that I listened to whilst testing. This is for a specific reason. The iBasso DX200 being a neutral dap the sound impressions would be largely resulting from the sonics of each individual earphone rather than the DX200 itself. My findings are a summary of the dap generally as I swapped between many headphones and earphones over a period of several weeks and hours with a variety of music genres. 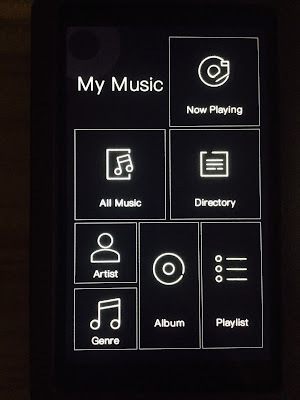 As I am not a streamer of music (Spotify etc) so I did not explore those functions, although I did test out the wifi connectivity and found it satisfactory and non interfering at 5Ghz. 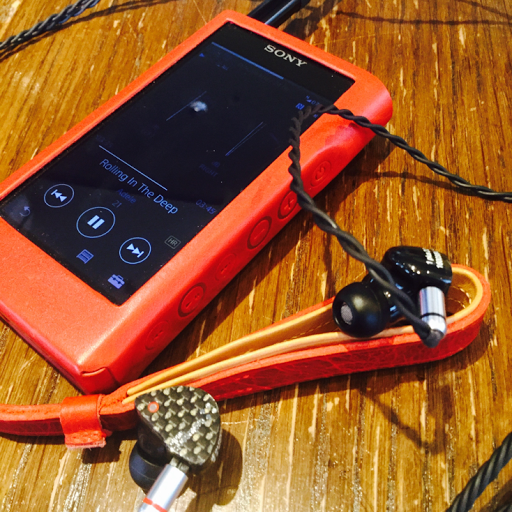 iBasso DX200 with Campfire Audio Vega and ALO Reference 8 Cable. The first impressions from 0-45 hours were veering from wow! to average which was to change over the course to overwhelmingly positive as the iBasso DX200 opened up. 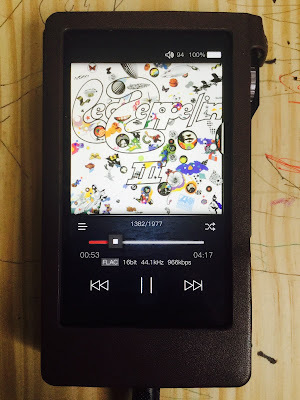 My experience of owning and reviewing many portable audio items has ended up that now I take my time. I generally do not offer many early or mid time impressions as either through the gear burning in or my brain, my opinion changes until I get to the heart of the matter and the true sound of what ever it is that I am reviewing. It was the same with the iBasso DX200 as I have mentioned already, although with the iBasso DX200 the changes were quite noticeable, and pleasing. 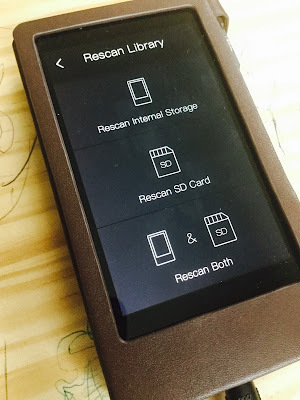 Early days and Initial firmware. 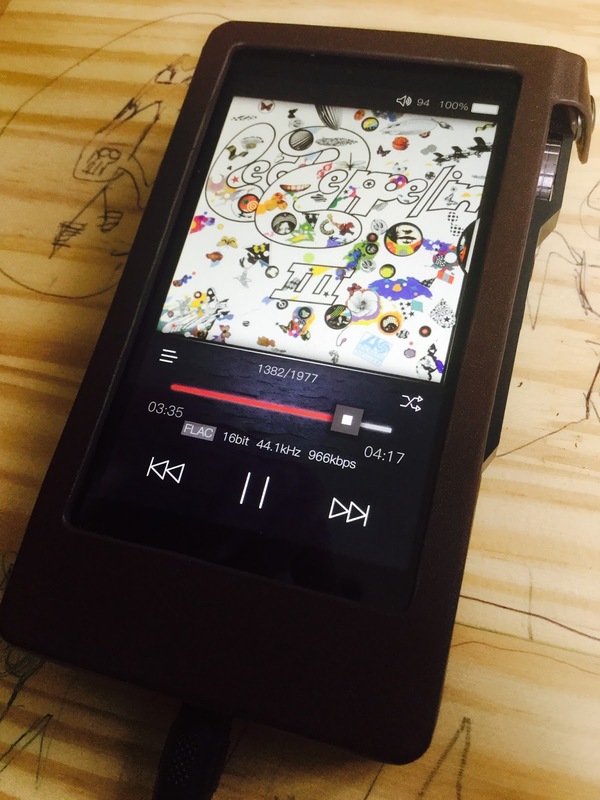 My first listen was with the iBasso IT03 of course, I thought `wow!`, there was certainly a definite synergy between them both...of course. Next day I tried the Campfire Andromeda. It had great details and resolution, I could notice at that early stage the typical Sabre ESS Dac signature - high in the treble end (which also later went away). It seemed a bit sterile in the initial days and I didn`t find myself involuntarily head nodding at that time. The third day I also uploaded the new firmware which seemed to have a bit more low end and body to it. It was also the day I threw the Campfire Audio Vega into the mix. 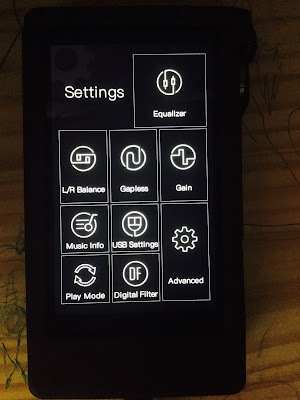 I had also started to become more comfortable with the DX200 as I had got to know the UI more, and it seemed more speedy and responsive after the update. 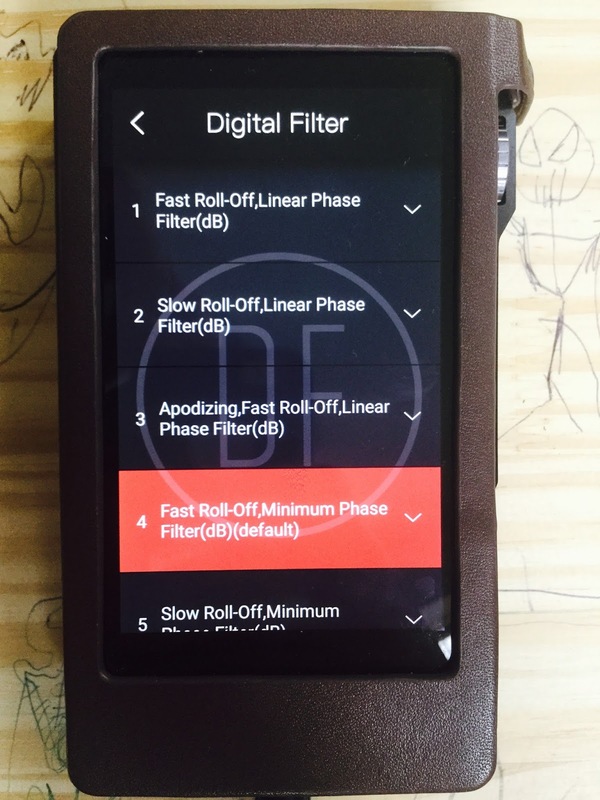 I am enjoying reading the Head-fi posts in the DX200 thread, it seems like a good group of people and most everyone has something useful to offer. An interesting aside as I got more hours on the device to bring me up to around 50 hours, the DX200 seems to have reached its first point and I found myself concurrently enjoying listening to the music, analytically noticing the details of the player and also forgetting that I am listening to the device and drifting off all at the same time. An unusual situation for this reviewer and shows good signs of things to come. At 65 hours + I started to notice the bass tightening up as it should, and the soundstage begin to open up more. 100 hours, the next milestone. Using the Android player, Campfire Audio Vega with balanced ALO reference cable, it all seems a great match. The DX200 certainly is tighter overall now. Even better detail and resolution, wider sound stage, bass is fast, instruments well separated, the highs have more air and extension. 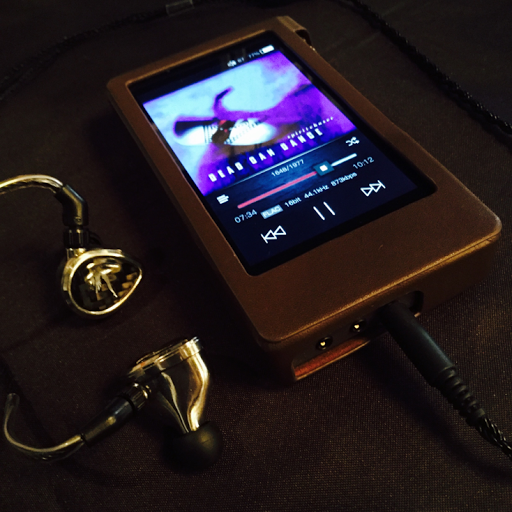 iBasso DX200 with Campfire Audio Andromeda and ALO Balanced Reference 8 cable. Hours on the Dx200 300-400+.... Well I certainly have enough hours on the DX200 now. After 300 hours the DX200 certainly comes into its own. It is a neutral dap as has been mentioned with no emphasis on the lows nor the highs. It is designed to retain the signature of your purchased ear/headphones. The low impedance is excellent for sensitive IEMs. The Bass is tight and accurate to the recording. The Mids are enough in that they complement the music being played, they are neither forward nor recessed. The highs are clear and detailed, I did not notice any veering towards sibilance, except when I tested with poor mp3s. A larger to larger sound stage. Instrument separation is clearly defined and placement is accurate. 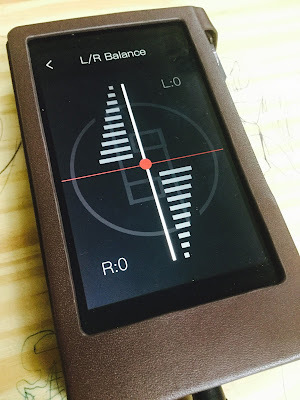 I did, one day after listening to the Campfire Audio Vega IEMs on steady rotate start to think, `Hey this is a warm dap, with a lot of low end`, I then switched to the JOMO6R and got the shock of my life as the JOMO6R is a truly reference IEM with lots of air. With iBassos own IT03 earphone of one dynamic driver and two BAs http://ibasso.com/cp_xq_dy.php?id=4756#page1 there is a wonderful synergy as to be expected. As I don`t have the iBasso upgrade to balanced cable I am quite tempted to connect it to the ALO Audio Reference 8 cable to see what its like. 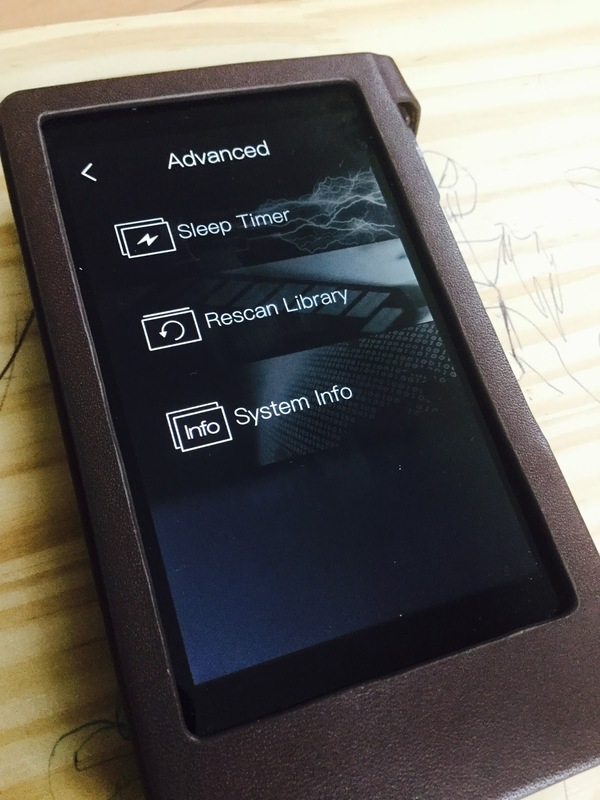 At its present stage including the recent March 1st update and many hours of burn in, the DX200 is definitely a high performer, and a device that should make people think twice before spending $400 or $4000 on a Dap. With its clear and concise low end, present and emotionally moving middle and a high end that is full of clarity without over extension. 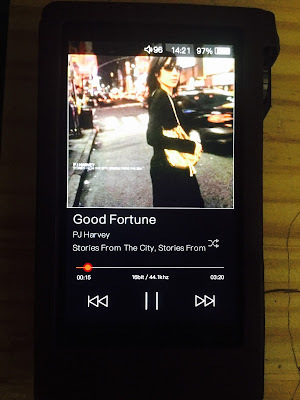 It is a pleasure to listen to. A soundstage of the wider variety. It is very natural, whilst other players can center the sound in particular places within the skull, the DX200 sound is very evenly placed and sphere like. Excellent instrument separation and accurate placement. As far as sound quality is concerned I found them to be be very close. I did think that the simpler and less cpu hungry basic iBasso mango to be slightly ahead in terms of sound quality, space and over dynamics. A bit more effortless. I do love the Android players volume graphic. 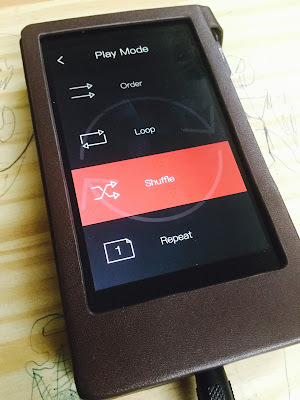 The user can choose and Android Mango player or just a basic Mango player. Reports from several have favored the basic Mango player. 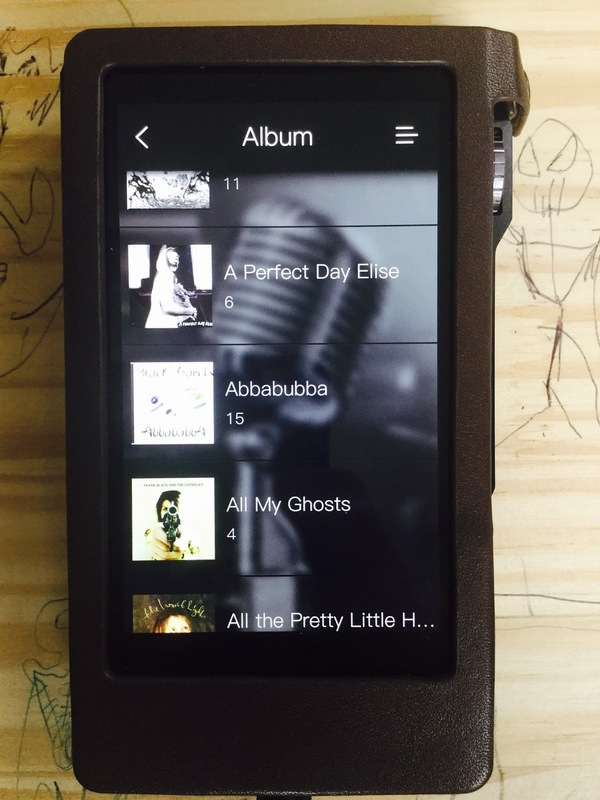 Also one can stream via wifi and various apps, or install a player of ones choice. To change to the iBasso Mango player, hold down the power button until the menu comes up. I have included various photos of some of the main menu features, as you will notice there are more that I did not cover due to space. 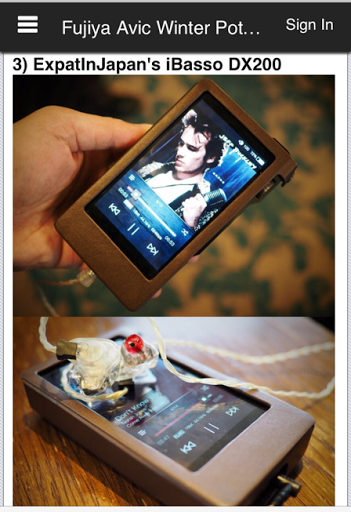 But enough is seen of what the iBasso DX200 has to offer. 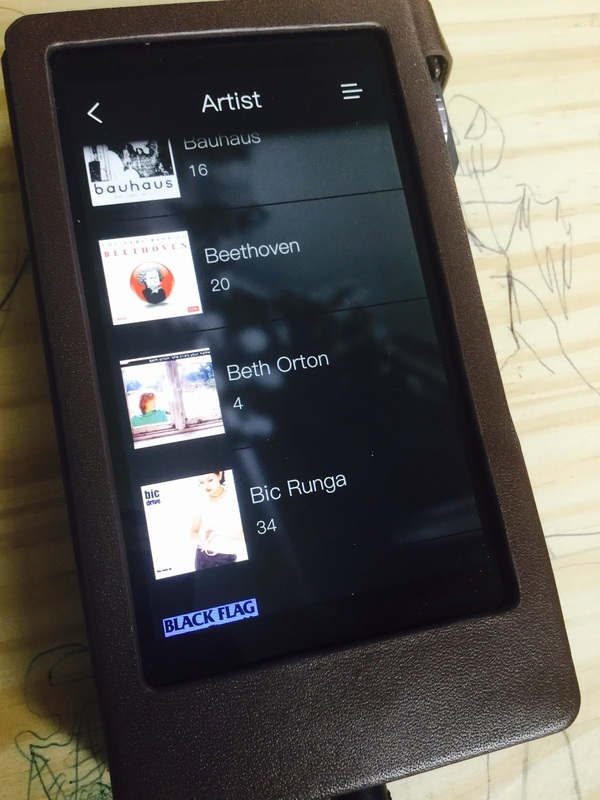 The in player UI is divided into four halves, accessed by swiping left or right. Connection via USB-C to a computer and how to transfer files. From the iBasso DX200 manual. This is in the manual but it leaves out one piece of information. First you have to unzip the file, inside is a Read me and also another zipped file. That is the file you use for the updating. 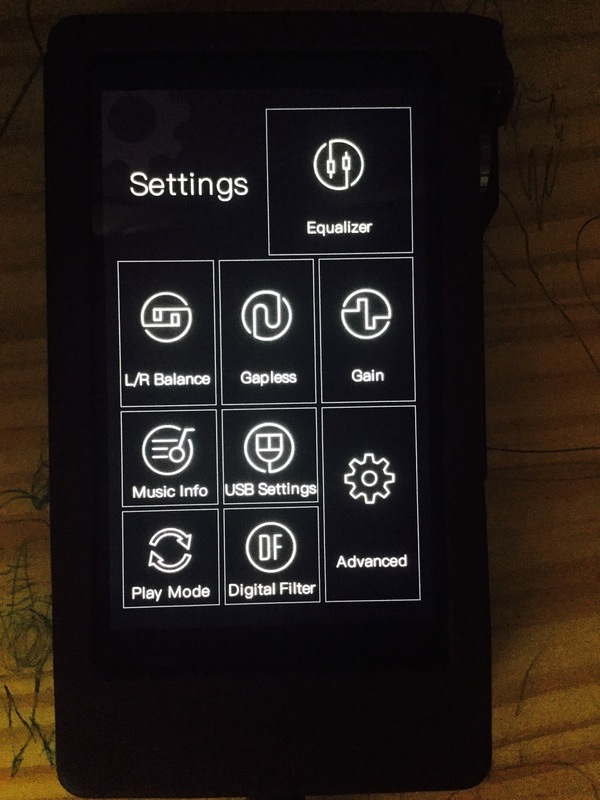 Most recent **UPDATE: iBasso has released another two firmware updates and are continuing to work on more fixes. The most recent being V2.0.78Beta from March 7th which I am running with no problems. iBasso DX200, ALO SXC8 interconnect, ALO Audio Continental V5 and Campfire Audio Nova. Certainly the iBasso DX200 does not need any external amping in terms of power nor sound. As it is it stands alone quite happily in terms of sonics. But for the sake of science and those wondering `what If..`, I connected the iBasso DX200 to the ALO Audio Continental V5 via the DX200 Line Out and to the ifi Micro iDSD BL via the included iBasso Optical and coax output/SPDIF cable. The functions worked seamlessly and easily. I enjoyed the fun, smooth, tube lushness that the ALO Continental V5 (with stock tube) bought to the DX200. More an exercise in offering something different and enhancing than something needed in this case. 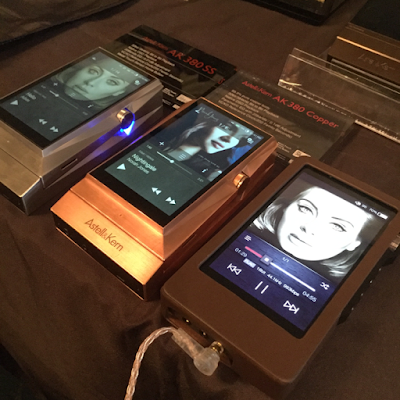 The DX200 when using the SPIDF function performed well in the simple task of being a source to the ifi Micro iDSD BL, and leaving it up to the ifi DAC and Amp to do the heavy lifting. 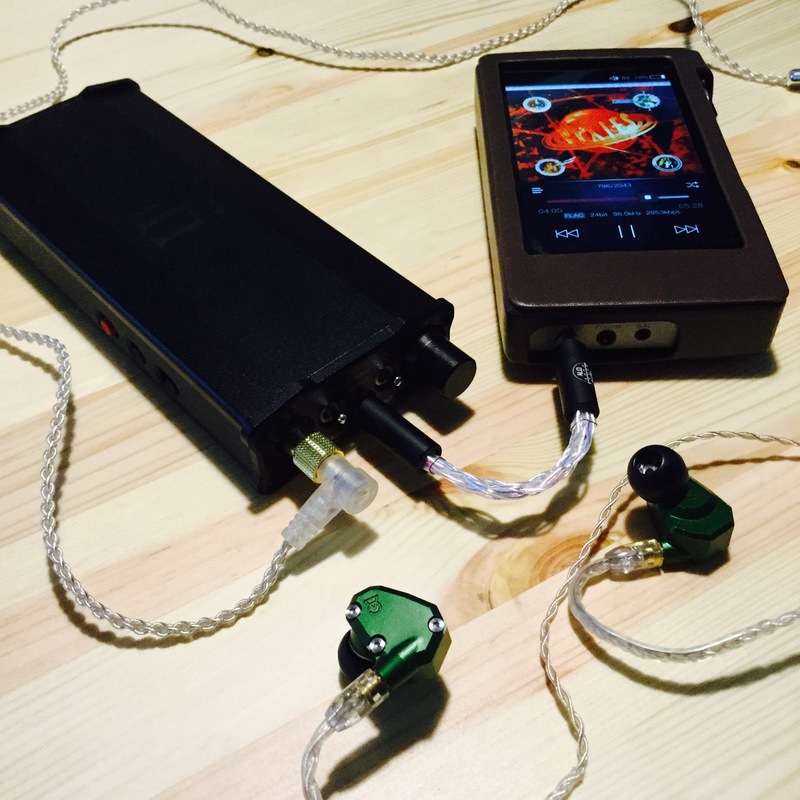 iBasso DX200 to ifi Micro iDSD BL with Campfire Audio Nova using the included SPIDF cable. 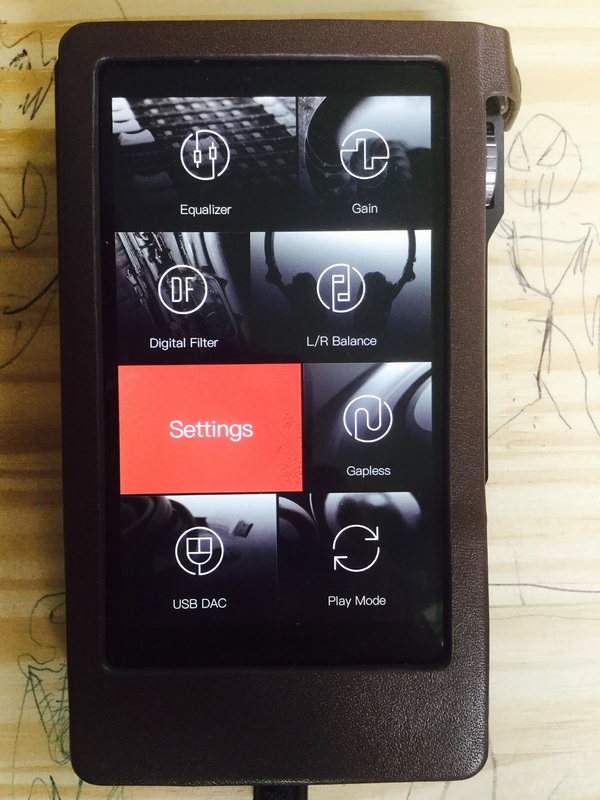 The iBasso DX200 also has a USB DAC function, certainly an all rounder when it comes to connectivity and options. The size of the DX200 is well within acceptable parameters. It fits comfortably within the palm of my hand, or within my jacket pocket. It is not so large as some would imagine, nor it is heavy. Size comparison with ipod touch 5G, iBasso DX200 and ipod 5G 30GB (Wolfson). 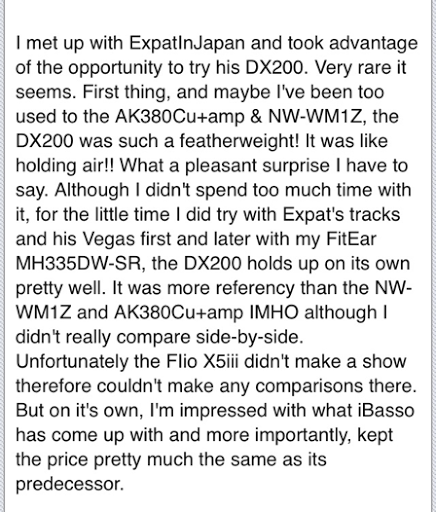 AnakChan of Head-fi`s comments after taking the iBasso DX200 for a quick spin at the Fujiya Avic show in Tokyo, Japan 2/19/2017. The iBasso DX200 is a well built, excellent sounding, high performing priced dap in a overgrown field of over priced under performing daps. The build is faultless on my model, although some have reported touch screen difficulties from the first batch. iBasso has addressed those concerns and provided customer service to my knowledge. A new main firmware is up and coming to address the few issues that have been reported. As it stands I find the iBasso DX200 to be near fully functional to my needs, and I have not encountered any significant bugs as others have reported, some minor improvements to be can made I have noticed, but thats about it. I have done and will continue to give iBasso feedback on any points that can be improved or need fixing. It looks and feels great, the supplied leather case gives it protection and smexy bonus points. It is neutral in the sense that music is played back authentically to its original source material and intention of reproduction. The iBasso DX200 has a low output impedance of under .3 of an ohm in single ended and balanced mode and the low/high gain setting means that the iBasso is a good fit for most IEMs, even the most sensitive. There have been reports of some minimal amounts of hissing on some extra sensitive IEMs but this seems relegated to the usual suspects/IEMs that turn up in every review. The DX200 has enough power to handle most headphones from general reports and my own experiments with my more portable and less power hungry models. The Google play store isn`t up and running yet, but some having been directly installing apps by way of apk files. 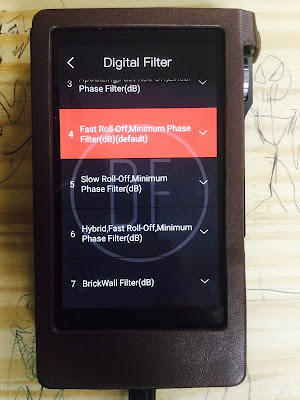 The DX200 has 7 subtle filters to craft the sound in increments. Although some have reported some warmth from their units, I have not experienced such a phenomena using 16/44 FLAC files. This seems to mainly occur with DSD and higher resolutions because the player will get warmer because it consumes more current. In conclusion the iBasso DX200 whilst on release had a few bugs in the early batches, (and a few very minor more to be rectified in the probable near future) is a stellar piece of audio gear. Any customer issues been steadily and promptly addressed by iBasso either by an exchange of the unit from what I have read or by yesterdays update and future updates. Every audiophile has their own person needs and budget, there also being recently and upsurge in the $400 - $500 bracket of daps. Also one has to keep in mind the correct pairing of earphones/headphones to match the dap. I would like to see a package deal promotion of the DX200 bundled with their IT03 earphone for example. 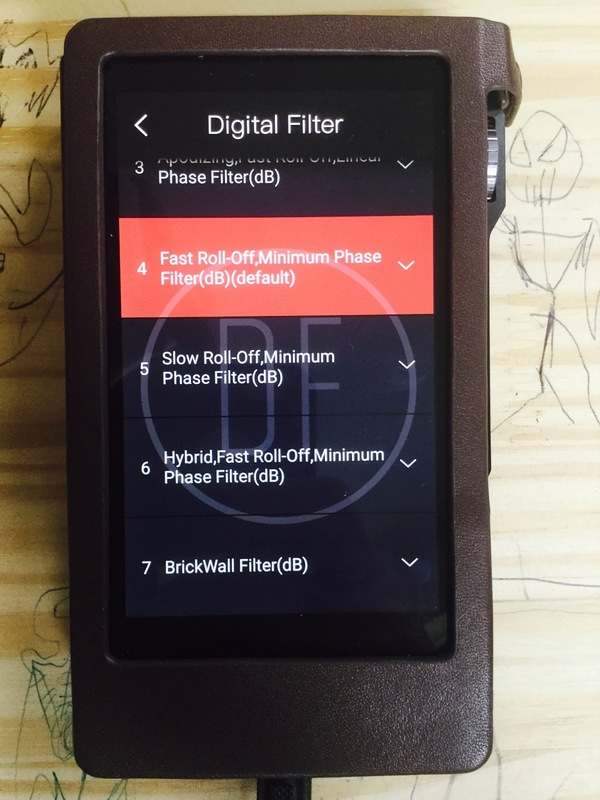 The DX200 is a dap that has a neutral presentation and is neither warm/dark nor on the bright side of things. For my tastes this is perfect as I prefer not to have my earphones influenced by a player. If I want a dark, light or warm sound I change my earphones. And thats how it should be in my book. Often daps that veer to a warm or light sound usually are trying to mask a short coming in my experience. More treble to appear more detailed and airy, more bass and warmth to mask the lack of detail etc and appear more smooth, same with an output impedance of 3, 5 or more. It always rings my bell. 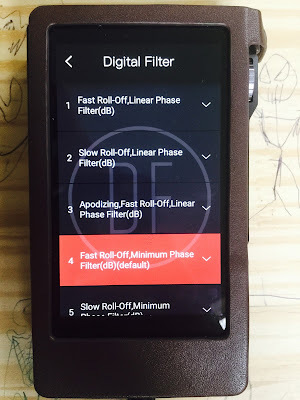 Thankfully the iBasso DX200 displays none of these faults and/or warning signs (to my thinking anyway). With a cool under .3 of an Ohm output impedance on both single ended and balanced jacks, oodles of power on each of them 2.5mm Balanced Output: Output voltage 6Vrms and 3.5mm Single-ended Output: Output voltage 3Vrms. It definitely has enough power overall, one shouldn`t expect to have to add an external amp at this price (or more). The UI is quite easy to learn and use, even for Android neophytes like myself. A fantastically wide sound stage coupled with excellent instrument separation and imaging makes the DX200 truly a joy to listen to. It is recommend is to get at least 200 hours+ on the DX200, with it continuing to improve overall with more hours logged the sound stage will open even more and the low and high ends continue to tighten up. I think not only is important to have at least one decent reference earphone, it is equally or even more so imperative to have a neutral dap of high quality. I believe the iBasso DX200 in terms of performance, and most certainly its comparative and competitive price is a great place to start. Power, performance, price and pleasure. The iBasso DX200.